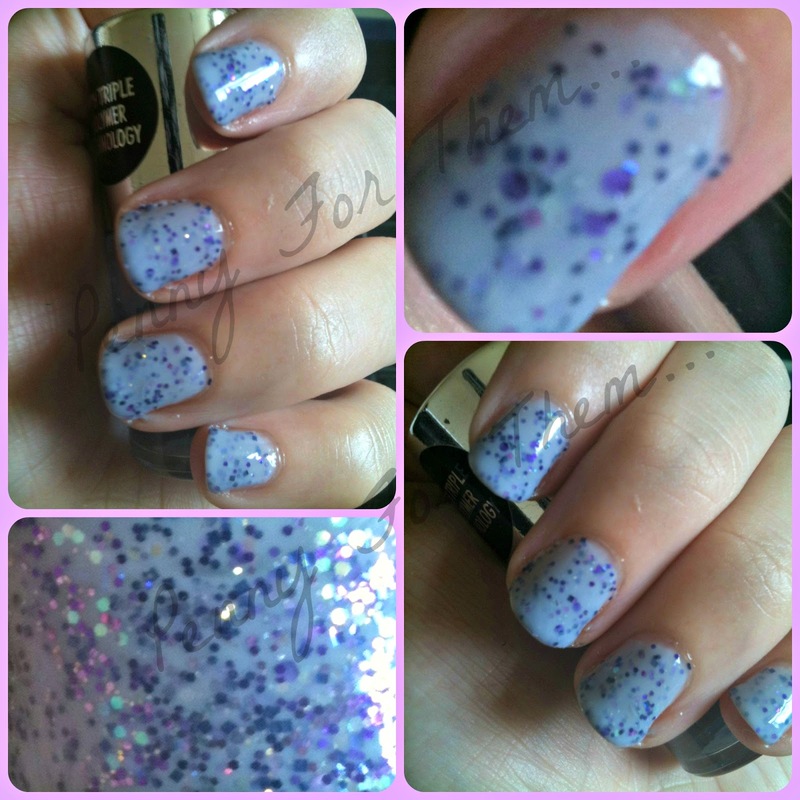 NOTD: Dollish Polish "Purple Rain"
One of my lemmings that i finally got this week! I have a huge soft spot for Dollish Polish as it really was these that got me into the Indie polishes. Plus Dolly is always very friendly and helpful when you're trying to track something down or wanting a special order! So Purple Rain is a gorgeous light purple base with a nice scattering of purple, silver and blue pieces of glitter. 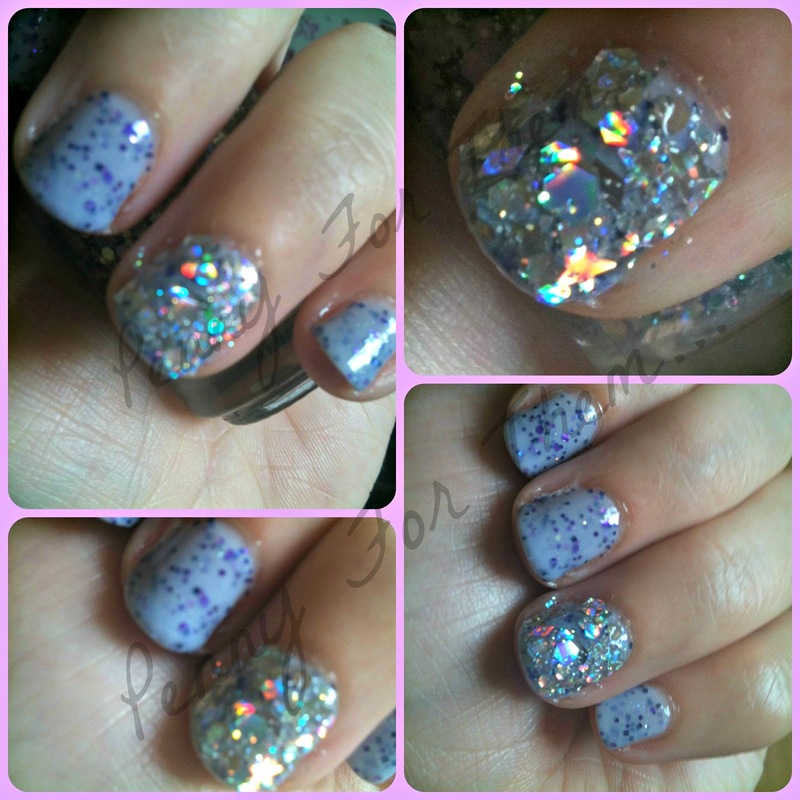 Still available to buy at Dollish Polish (link in the picture above). Full size of 15ml is £10 and the mini at 9ml is $5. The base obviously darkens with more coats, and i love the final dark lilac colour it turns on the final coat. As with all Dollish Polishes, really easy to apply. Medium coats to obtain good coverage on each coat. Adding a coat of Nails Inc Kensington Caviar Gel Effect Coat, and you have the perfect purple polished nails! Its called "Too Schmexxxy" (as you can see!) 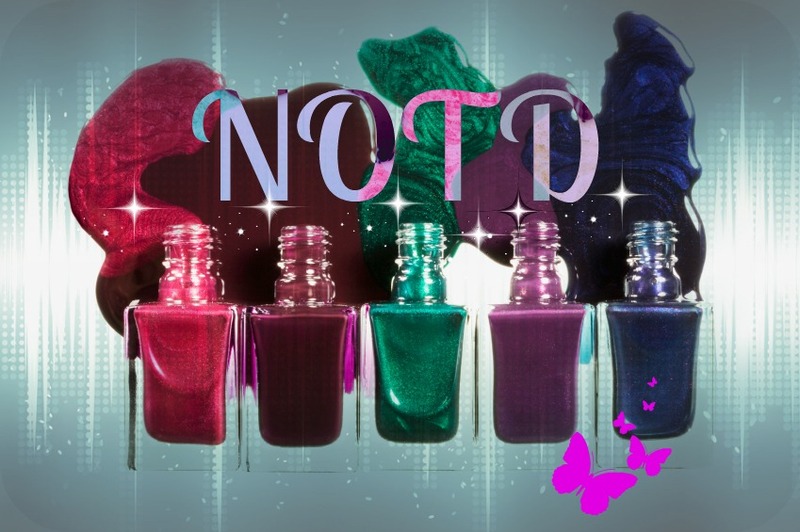 and is just a glitter bomb of all shapes and sizes - crescent moons, stars, circles, butterflies and they all twinkle when the light hits - a gorgeous polish! About an hour later i was changing the bed and the whole lot literally slid of my nail. It happened to the other too, so lesson for the day.....don't have a brainwave to add some bling when you've already put polish onto the nail!! Oooops!!! well, you gotta learn somehow right! Oh, yeah, and these two? Totally staying!! !